Have you heard of the 529 college savings plan? If not, then you need to read on because it could save your financial future or that of your child. Thinking about getting a college loan to finance your education is a common thought. As much as we detest debt, there are certain credit accounts that will help you improve your financial situation. A college degree is one of the ways for you to qualify for a high paying job. If you need to borrow money in order to finance the improvement of your skill, this can be a potentially good debt. However, that does not mean it is your only option. It is sad to think that there are people who are resigned into thinking that they or, for parents, their children, do not have a choice but to put themselves in debt. A MartketWatch.com article discussed the study done by Discover Student Loans and revealed that 48% of parents said that they do not consider the price of the college as a factor in choosing the school for their child. But despite this, 14% admitted that they do not plan on contributing anything to their child’s education. Given these factors, it is evident that the children in these families have no other choice but to finance their college education through a loan. What you have to realize is that student loans is not compulsory for you to get a college education. There are ways for you to get a degree without compromising your financial future. One of them, as we mentioned earlier, is the 529 college savings plan. What is the 529 plan for college education? Let’s get one thing straight. If you just graduated from high school, this option is not for you. It may be best for you to try and look for grants or scholarships to help you avoid student loans. But if you are a parent of a high school student or you are the high school yourself, you may want to read on to see if you still have time to do this for yourself or your child. The 529 college savings plan is strictly to help you save up for a college education. In most cases, parents or grandparents set up this account as the owner and put the name of their child or grandchild as the beneficiary. If you are a working professional and you wish to set this up for your future education, it is also possible to open your own account and put your name as the beneficiary. It is usually state-sponsored and it allows the owner to choose among different portfolios to invest money in. You will let your money grow in these funds and it will specifically be withdrawn to pay for college expenses. According to the definition discussed in the SEC.gov site, there are two different types of the 529 college savings plan. Each of the states in the US (even the District of Columbia) sponsors at least one of these plans. This type of plan is also sponsored by some type of colleges and universities. This type of plan allows you to buy credits or units at the college or university of your choice. That means this account will be specific to an educational institution. In most cases, this is the type of plan that is sponsored by the state government. This means one of the requirements is to have a residency in the state. This type of 529 college savings plan allows the saver (also known as college saver or account holder) to create an account in behalf of a student beneficiary. This is where the saver will put aside the money that will allow the beneficiary to withdraw it for future college expenses. In this plan, the saver will choose among stocks, mutual funds and bonds to determine how the money saved will be allowed to grow. The investment will be age-based and will get to be more conservative as the beneficiary nears college age. Unlike the pre-paid tuition plan, this will not be specific to a college. When the beneficiary withdraws the money, it can be used in any college or university. This freedom does have a price because it is usually not backed by the state government. Now that you know that you can save up for college ahead of time to avoid student loans, let us discuss why this is beneficial to you. Obviously, the main benefit is to avoid one of the 2 debt problems in college. Saving is always a good thing but the question is, why should you save through a 529 college savings plan? Your earnings are exempted from taxes. Any growth of the money you place in a 529 plan will be exempted from both federal and state taxes. At least, as long as you use this money for higher education expenses only. You do not have to worry about contribution limits. 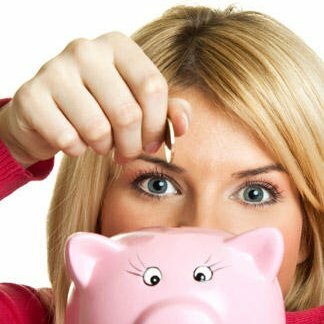 You can put in more money into this savings plan compared to other savings accounts. The limits usually vary per state but it can usually allow you to put aside up to $200,000 per beneficiary – if you can afford it. You can deduct the contributions from your state income taxes. This depends on the state but if the deduction is not allowed, they usually have credit alternatives. That means you can get tax credits in lieu of tax deductions. You just have to make sure you understand the limits of the contributions to maximize your tax benefits. You can change beneficiaries. In case the original beneficiary will not need the money anymore (e.g. because of a grant or scholarship), you can transfer the account to someone else. This can be to another child, cousin, parents and other relatives. The transfer will not impose tax penalties. You just have to remember that this savings plan is an investment. It is only beneficial if the market performs well. So do not just put your money in and then forget about it. Keep tabs on the account to make sure that it will really benefit the beneficiary when college time comes. For graduating high school students, it may be a bit too late to go for the 529 college savings plan. Do not fret because we still have some tips for you. It is the time of the year when high school students are starting to receive college acceptance letters and getting ready to start the last phase of their education. While the graduation season is all about celebrating, try to spend some time thinking about how you will manage your money while in college. You want to be prepared so you do not have to put yourself through so much debt. An article published on WashingtonPost.com discussed the thoughts of Donald E. Heller, the dean of the College of Education for Michigan State University. According to him, the more than a trillion student loan debt is not as bad as you think. The ¾ of students who are in debt have borrowed approximately $29,000 and are paying it well enough. Incoming college students should not be too scared of the loan if it is the only way they can get an education. It is all about managing your money while in college. If you know how to use your money wisely, you do not have to burden yourself with too much debt. Here are some tips that we have for you if you help with college finances. Get a part time job. You will not spend 24/7 studying. You will have a lot of free time so use it wisely. Budget your money. This way you can monitor where your money will go to. Stay away from other forms of debt. Some college students are having a difficult time with student loans because they also have credit card debts to think pay off. If you cannot afford to pay in cash, don’t make the purchase. Live a simple lifestyle. Students feel like college is one big party. Do not make that mistake. Be frugal so you do not have to live like a student when you finally start earning your own pay. Here is a video from Pace University that discusses how you can manage your finances while in college. It provides tips and examples on how they help their own students lower their college-related costs down. These may be applied in any college or university. If you already have student loans and you need help paying it off, National Debt Relief can help. We have a consultation program and we can help you determine the right debt relief program for your specific income and debt situation. We can even assist you in the documentations involved in applying for the debt relief program. We will only charge you a one-time fee for this service and it will be placed in an escrow account. That means if you are not satisfied with the paperwork and our services, we do not get anything. There are no upfront or maintenance fees in this student loan consultation program.